Map of Spain and deciding where to buy a property. You should first decide which areas of the map of Spain suit you. Not like me. I rented my first holiday apartment off my parents’ neighbour. She told us it was in Torremolinos. It didn’t mean much to two 18 year old girls, so we started looking for flights to Greece, (the neighbour was Greek - so it was a logical conclusion!). Here you can see me studying the map of spain (not really!) 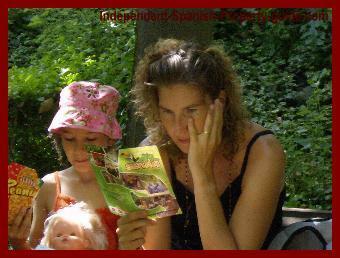 in the beautiful botanical gardens of Senda Retiro in Churriana, trying to find the giraffes! There are lots of zoo animals like zebras, monkeys and kangaroos, loads of exotic birds like tucans, vultures and flamingos, as well as reptiles, salt water aquarium, butterflies and frogs pond. A brilliant day out for the family. Spain is also great for older people with creaky bones, because the weather is so mild in the winter. (My 70 year old Uncle Charlie stays here all winter, every winter. He says its cheaper than paying for central heating in the North of England!). Spain is the second most mountainous country in Europe, second only to Switzerland. The amount of significant flat land is therefore very limited and tends to be concentrated on the coastal strip alongside the Mediterranean (apart, of course, from the high plains that dominate the centre of Spain). It is the mountains that play a major part in the climate of Spain. Whilst most people think of Spain as a hot, dry country, it has, in fact, a very varied climate. 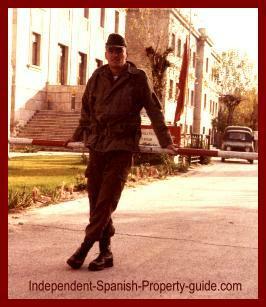 Madrid, for example, suffers from extremes of temperature with hot summers and freezing winters, (my husband will tell you just how cold his ears got when he was guarding the garrison, whilst doing the obligatory military service!). Whereas if you look towards the north of the map of Spain on the Atlantic coast, the climate will be very familiar to the visitor from Britain. However, most people looking for a home in Spain are drawn to the Mediterranean coast. It is here that they get what they want - warmth - and it is here that they experience the true Mediterranean climate - hot, dry summers and warm, wet (but not too wet) winters. The three main coastal areas are Catalonia at the northern end (principally the Costa Brava), Andalusia at the southern end (the Costa del Sol and Costa de la Luz) and Valencia in the middle (the Costa Blanca) with Murcia squeezed in between Valencia and Andalusia. For those who prefer the island life there are the Balearic Islands (Majorca, Ibiza and Menorca) in the Mediterranean and the Canaries (Gran Canaria, Tenerife and Lanzarote) in the Atlantic, off the Moroccan coast. Be careful if you are buying a property directly on a beach, it may be humid for you and the building, so not good for pensioners with arthritis. If you are thinking of buying a holiday residence in Spain, you may need to make short return trips to your own country because of work commitments, then it would be better to buy close to an airport. 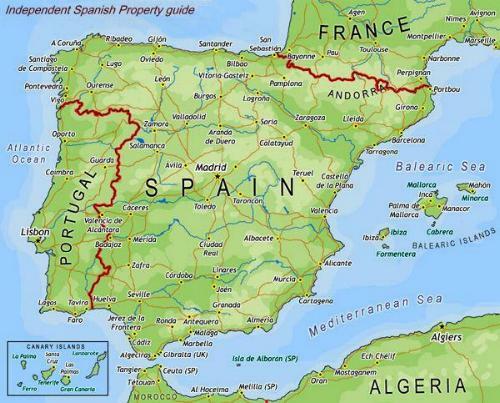 It would be well worth your while to study the map of Spain before deciding where to buy your property!